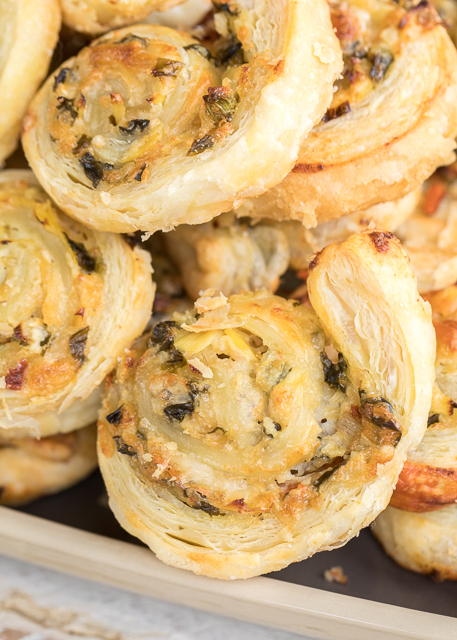 Do you need a super easy and delicious recipe for your New Year's celebration? Well, look no further! 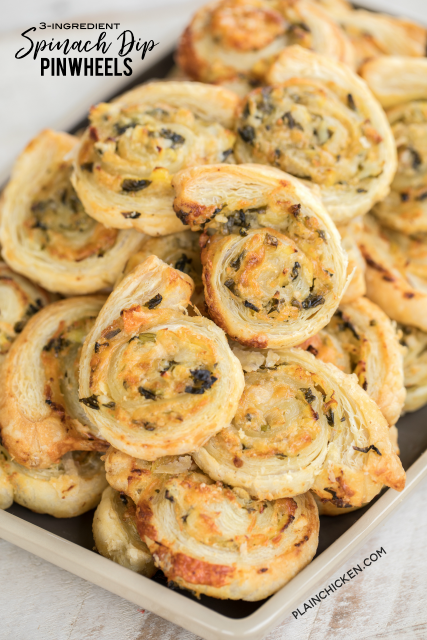 These 3-Ingredient Spinach Dip Pinwheels are so good and super simple to make. The secret is a tub of store-bought spinach dip. I used a tub of spinach and artichoke dip from Publix. I got it in the deli section next to all their prepared foods. 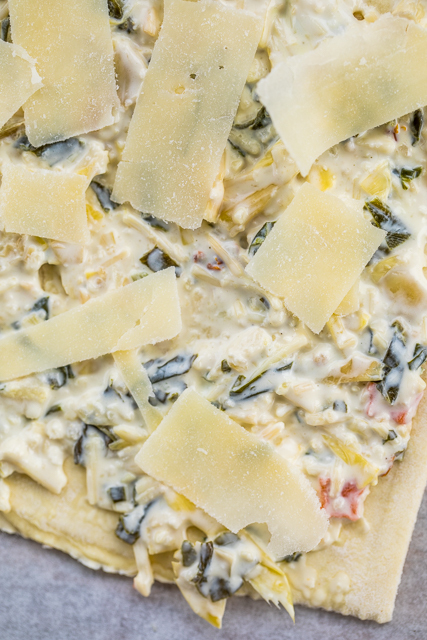 If you want to make your own spinach and artichoke dip, go for it! I didn't want to take the extra time to make spinach and artichoke dip this time. PLUS Publix's dip is really good, and I could use any leftovers as a dip. 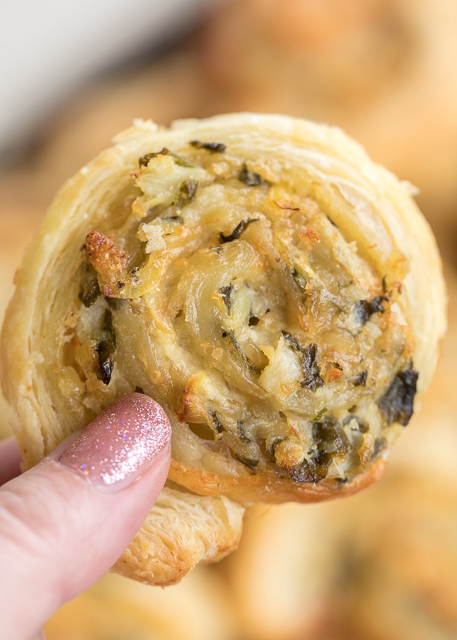 This recipe will make about 4 dozen pinwheels if you use the whole tub of spinach and artichoke dip. 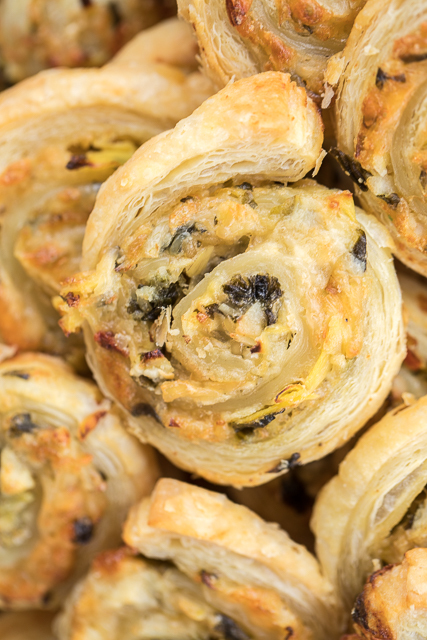 You can certainly make less or more, depending on how many appetizers you need. You can make these ahead of time and refrigerate or freezer for later. Just pop them in the oven when you are ready to eat!! Preheat oven to 400ºF. Line baking sheets with parchment paper. Unfold one sheet of puff pastry. Top with 1/3 of spinach and artichoke dip. Top dip with 1/4 cup parmesan cheese. Starting at the long side, roll up jelly roll style. Cut into 16 pieces. Place slices on prepared baking sheet. Repeat with remaining two sheets of puff pastry. Bake for 15 to 18 minutes, until golden brown. I LOVE LOVE LOVE their dip! It is good cold or hot. We also throw some feta on it when we heat it up. I'm totally adding feta next time! YUM!